Walking is an essential part of dog ownership.In order to get the right amount of exercise and stimulation to fend off boredom and destructive activities,your dog may need to be walked many miles every day. 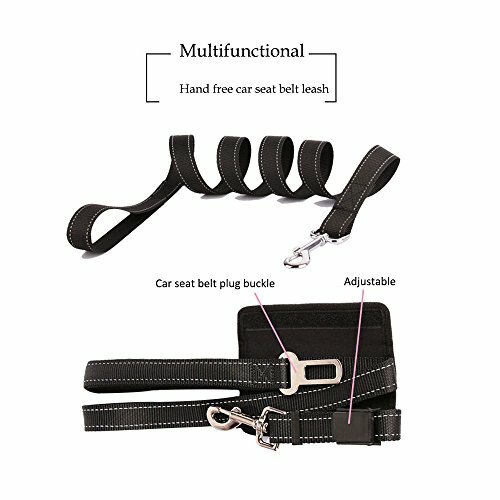 In this case, what you need is a dog harness. 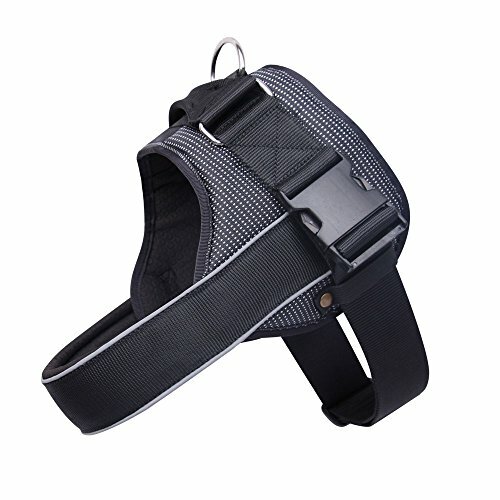 While the other harnesses has some padding attached to the straps, this harness is a totally padded harness meant to comfortably control more of your dog's pace. And all of which are adjustable to insure a comfortable fit on your dog .The preminum oxford fabric features in waterproof and dust-proof function. Size & Color: Comes in small, medium,large and xlarge in your choice of color: black, green and orange. 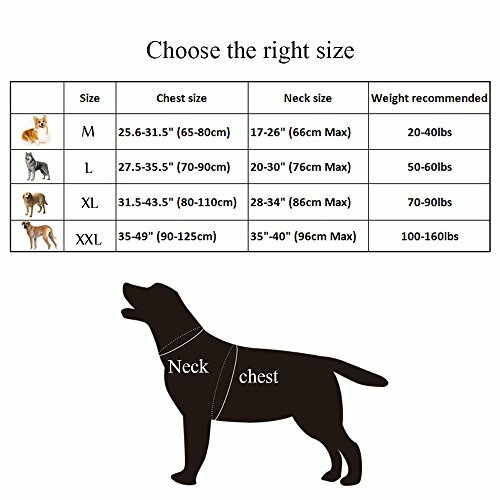 Pet weight recommended?S for breeds 20-30lbs, M: 50-60lbs, L: 70-90lbs, XL:100-160lbs. Material: 600D Nylon, jacket fabric. 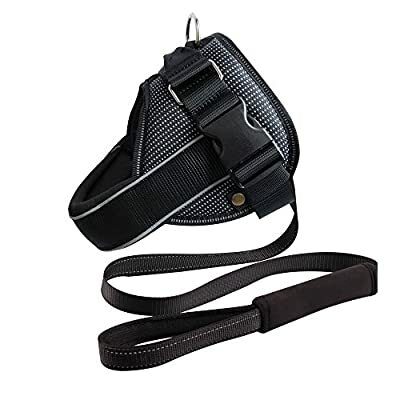 100% LIFETIME GUARANTEE - If you have any problems for this dog harness at any point, you can return it to us for replacement or a full refund. 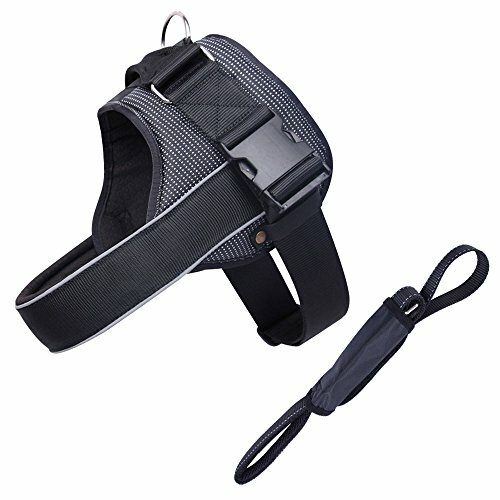 For large dogs Adjustable chest strap and front pieces with metal buckle, will fit your dog's body when grow up. Comfortable for the dog and it is easy to put on, top handle makes a promt to stop or stand easily. Flexible material can make your dog to move its body parts freely, alleviates any pulling around dog's neck. Sturdy-Strong construction, stitching, suface in premium nylon material, long lasting and washable ,breathable , lightweight and soft padding lining.